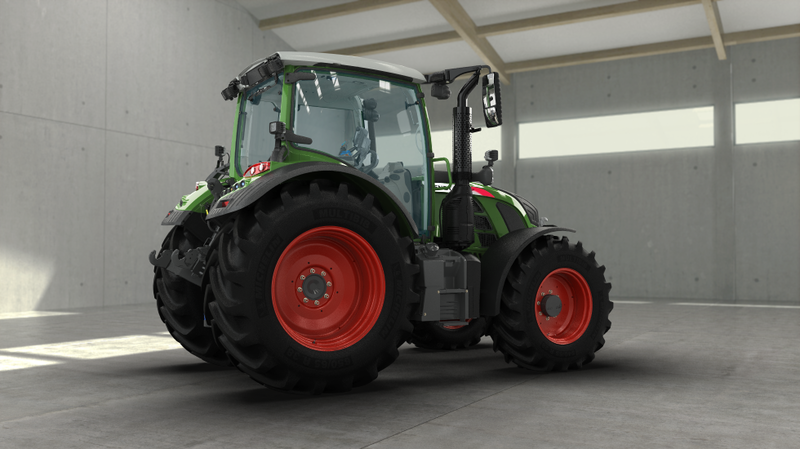 Fendt 500 Vario: Your farm, your perspective. 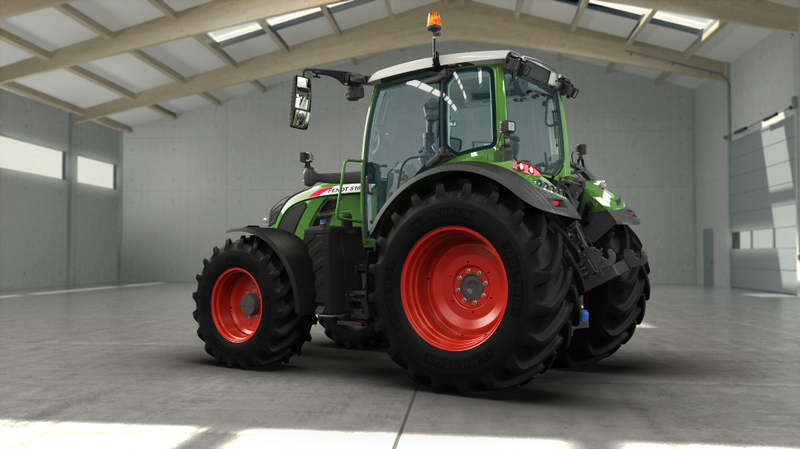 The Fendt 500 Vario is the ideal all-round tractor that you can always rely on. 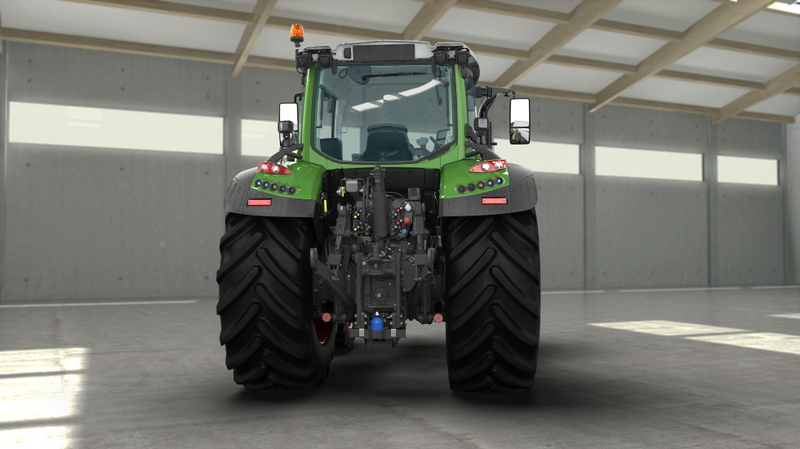 It proves to be strong for draft work, precise for cultivation work, especially economical in consumption as well as comfortable and safe for transport. 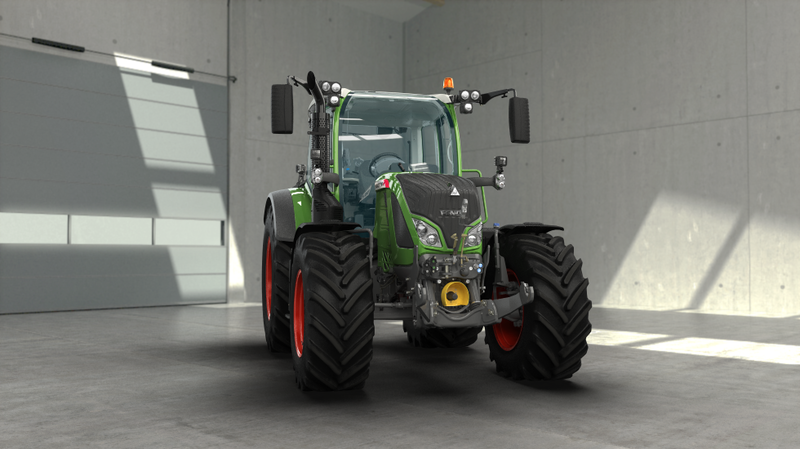 During front loader operations, at the latest, it will convince you with its manoeuvrability and visibility and give your farming enterprise a new quality and therefore an ideal perspective. 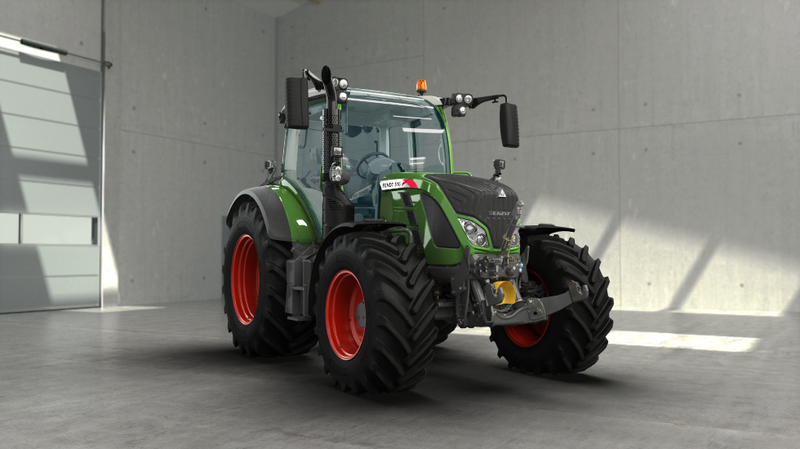 Fendt 500 Vario. 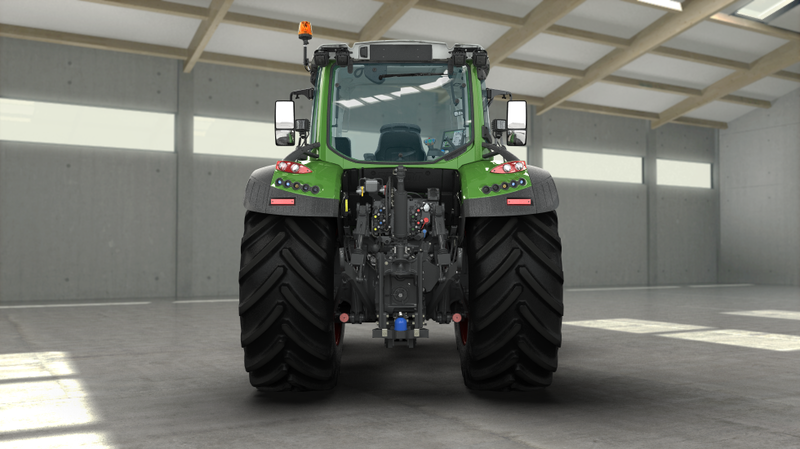 Your ideal perspective. 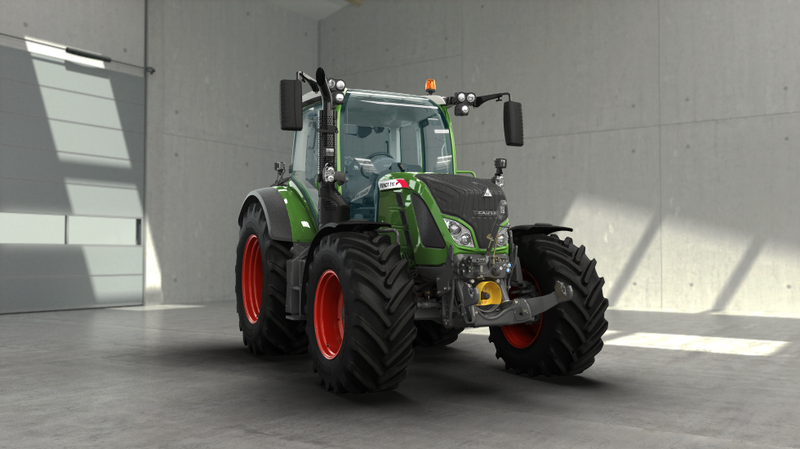 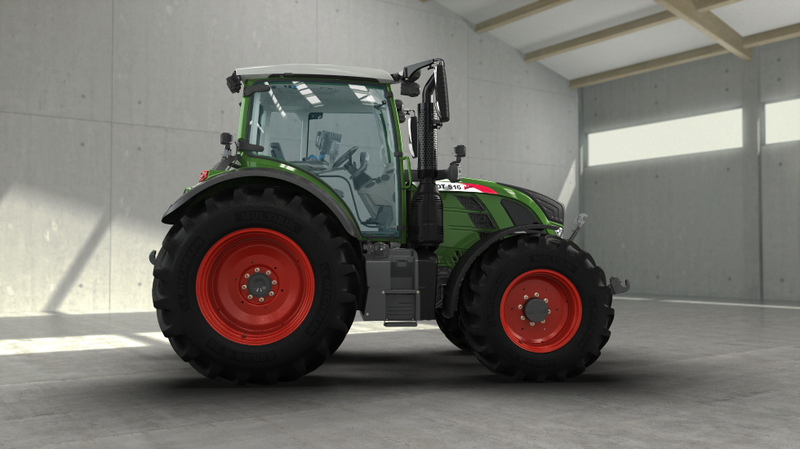 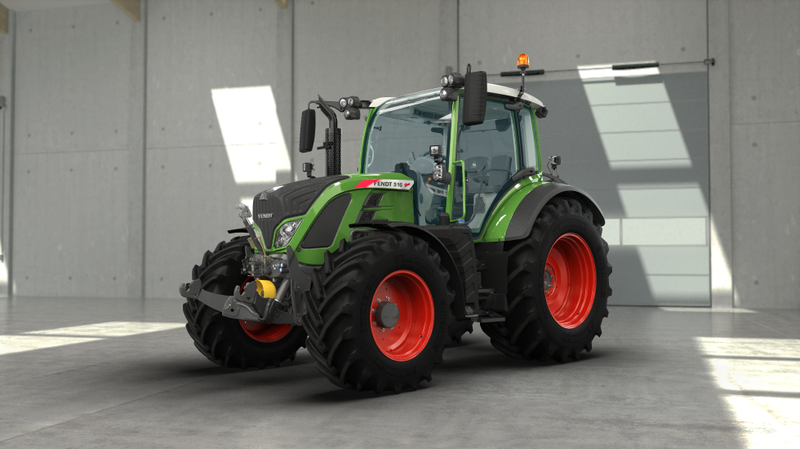 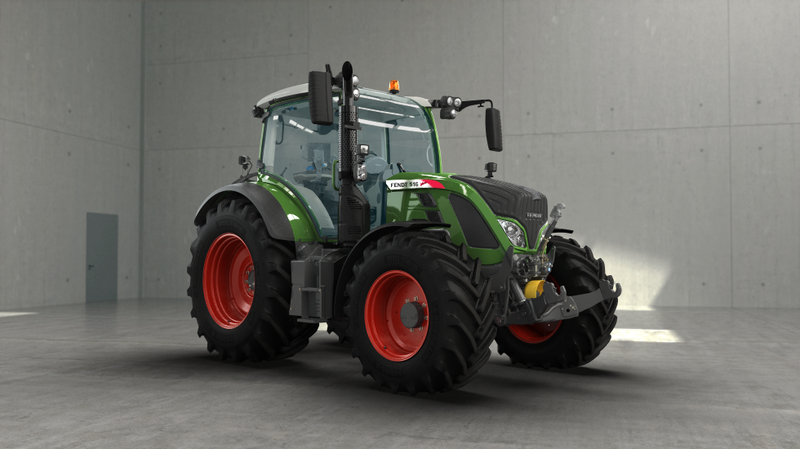 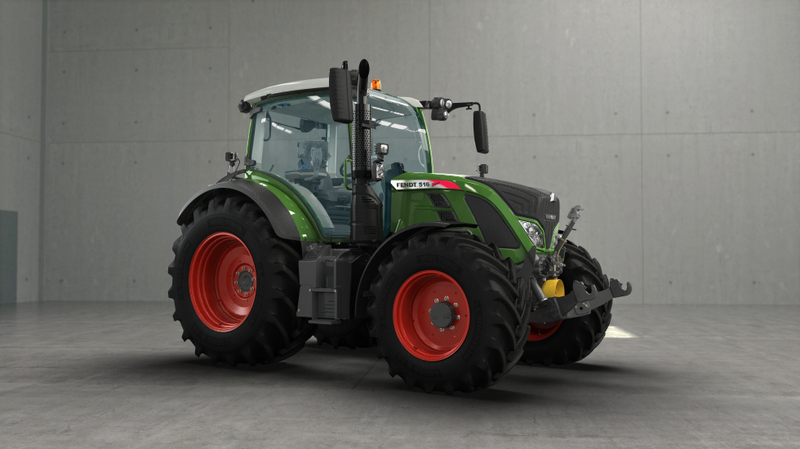 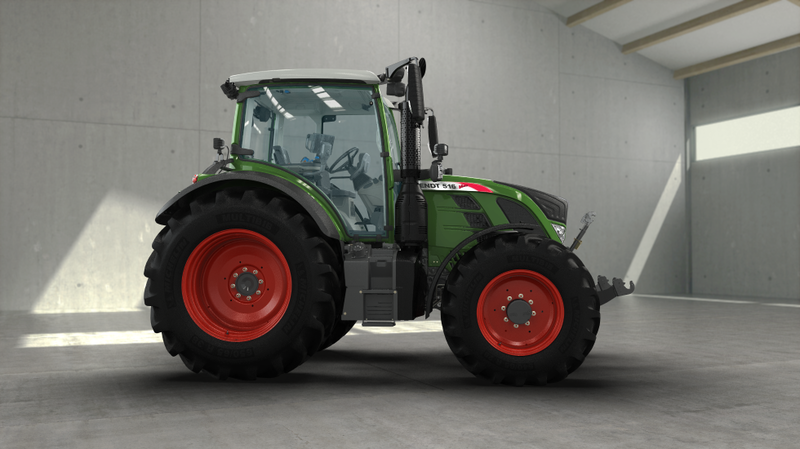 The Fendt 500 Vario has the stuff to become the main tractor in your farmyard. 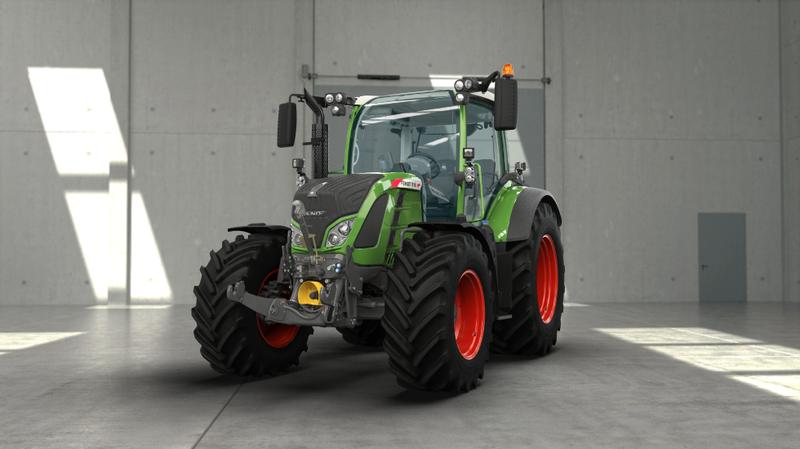 It is the ideal combination of compactness and versatility in operation, perfect for all front loader work, offers all-round visibilityand comfort for drivers and passengers. 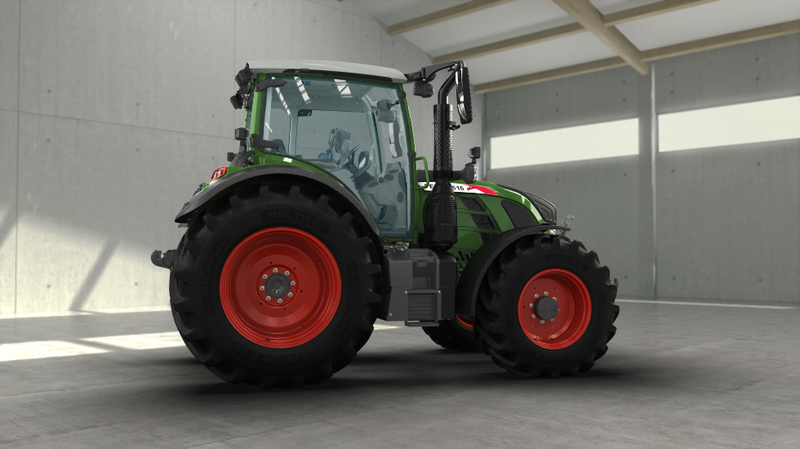 With the compact 500 Vario, you can work quickly, flexibly and agilely. 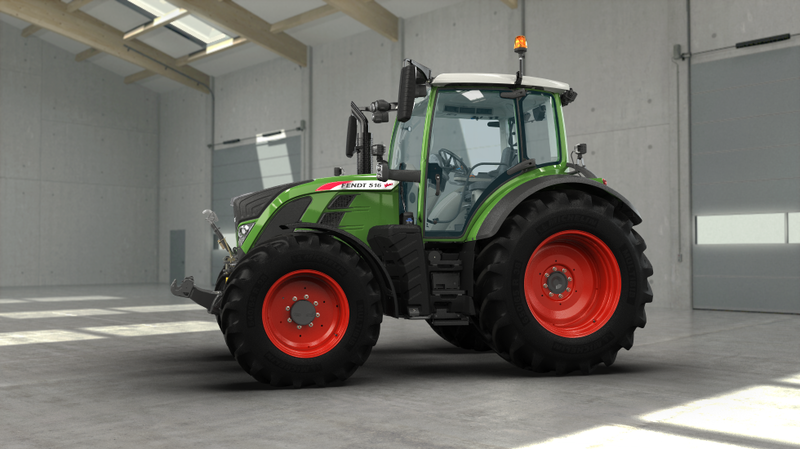 Fast and economical driving up to 50 km/h at a reduced engine speed really pays off, especially for transport work. 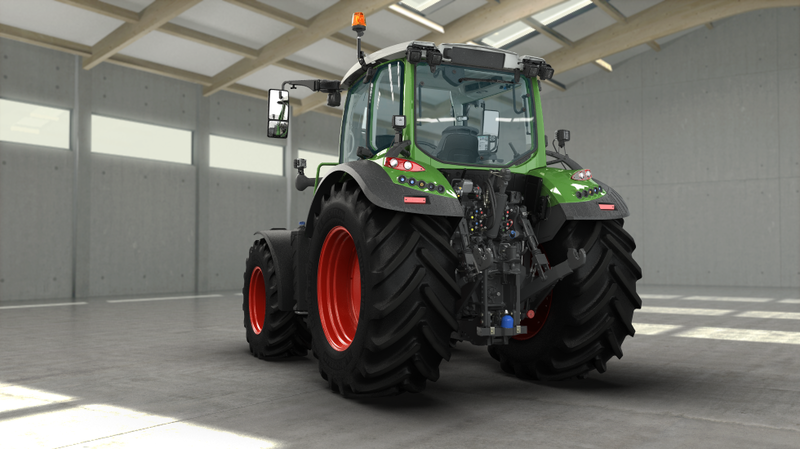 The low weight-power ratio enables high payloads without a problem. 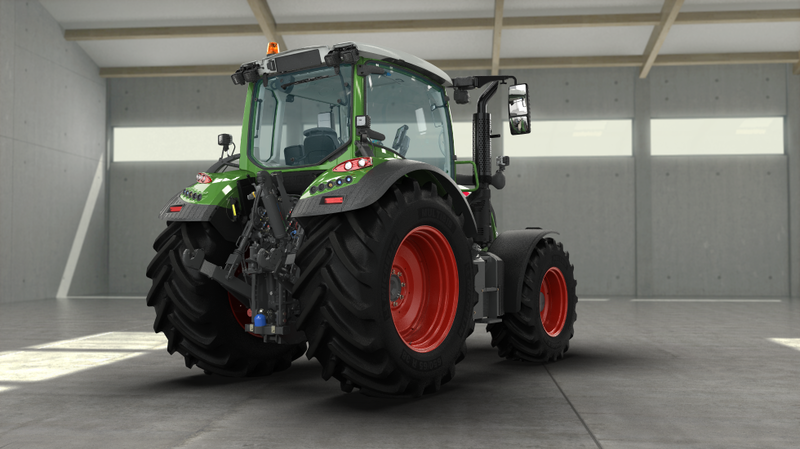 Comprehensive Fendt Variotronic functions, such as the new guidance system, programmable application rates and automatic documentation, make it the popular all-rounder in the fleet. 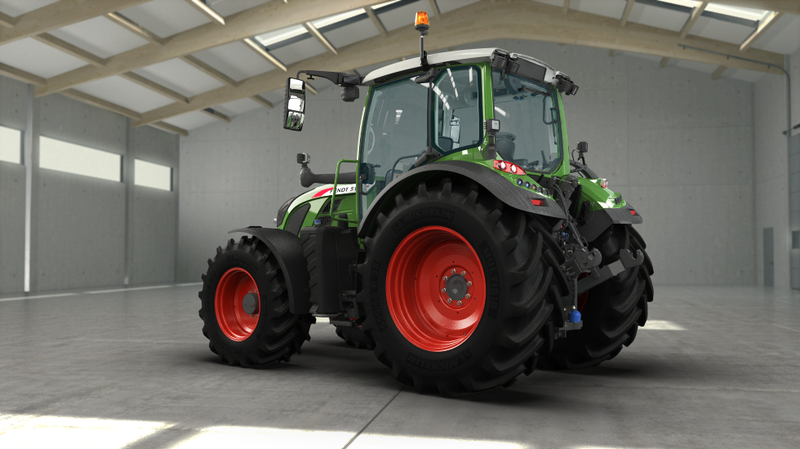 Ideal prospects for your farm. 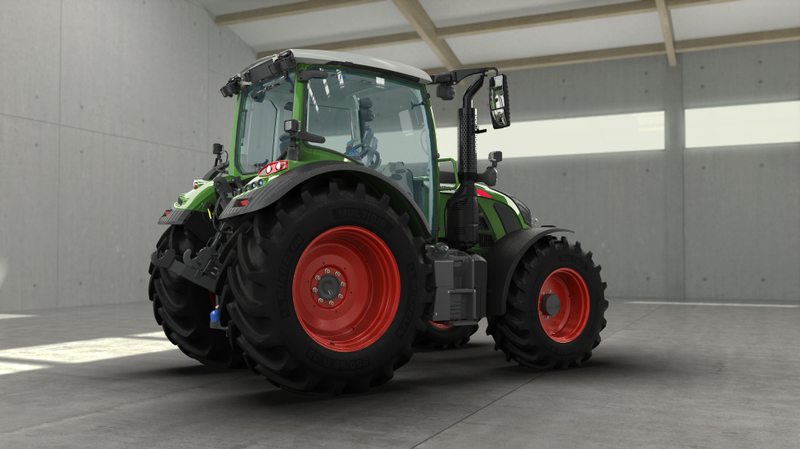 Whether on an arable, finishing or grassland farm, every implement immediately finds an ideal connection on the Fendt 500 Vario – a clear advantage for you, because you can meet the many requirements of your farm with only one tractor. 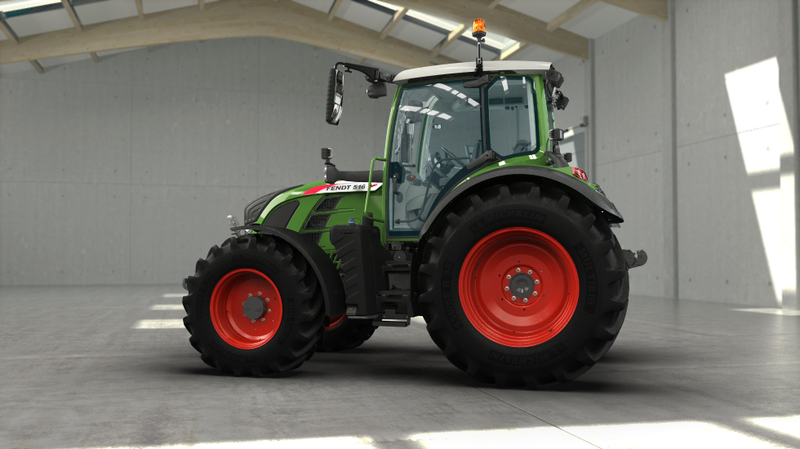 Whether mid-sized or large-scale, today’s farms are dependent on the high performance, flexibility, quality and efficiency of tractors. 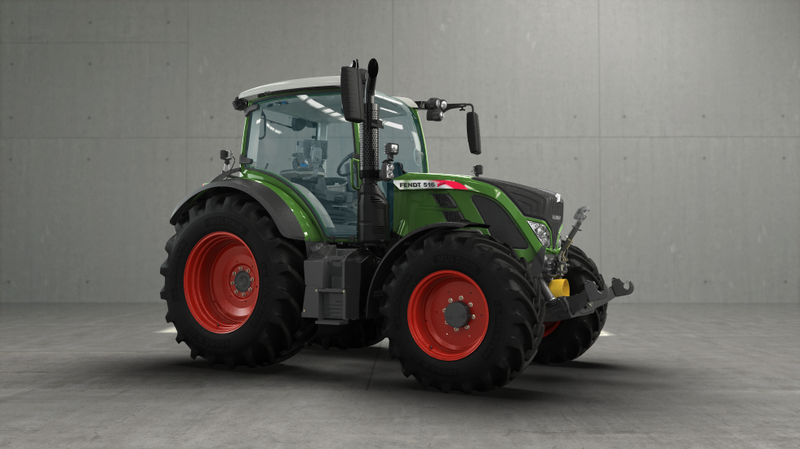 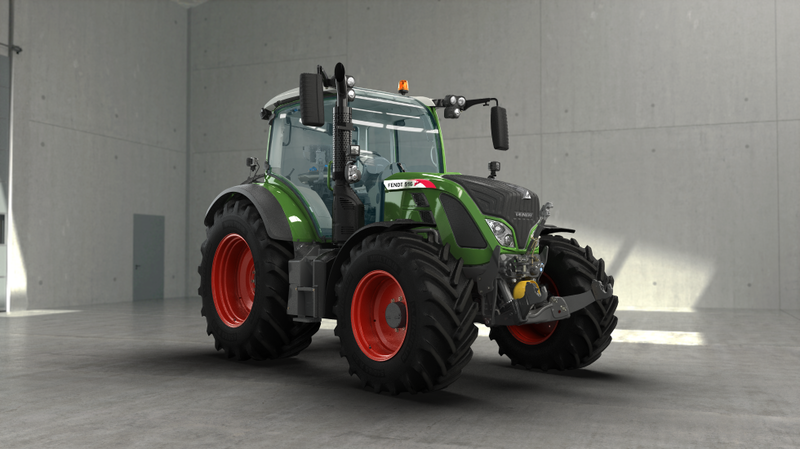 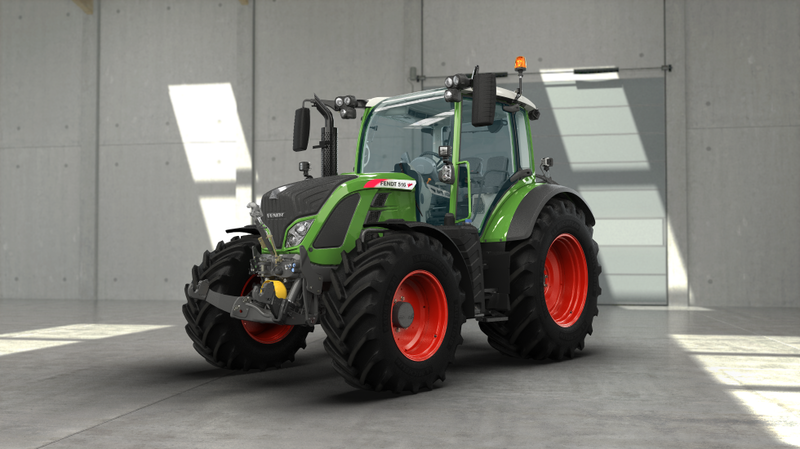 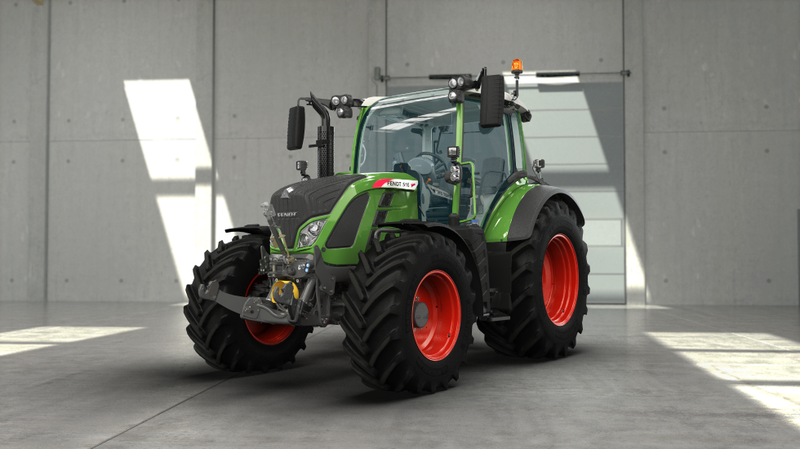 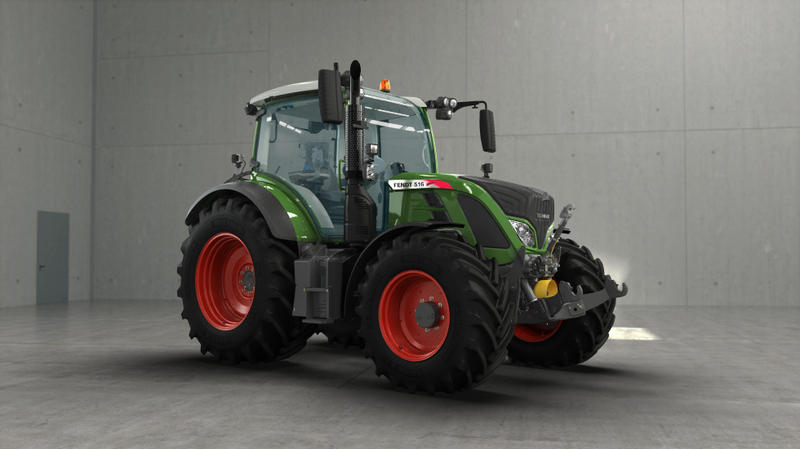 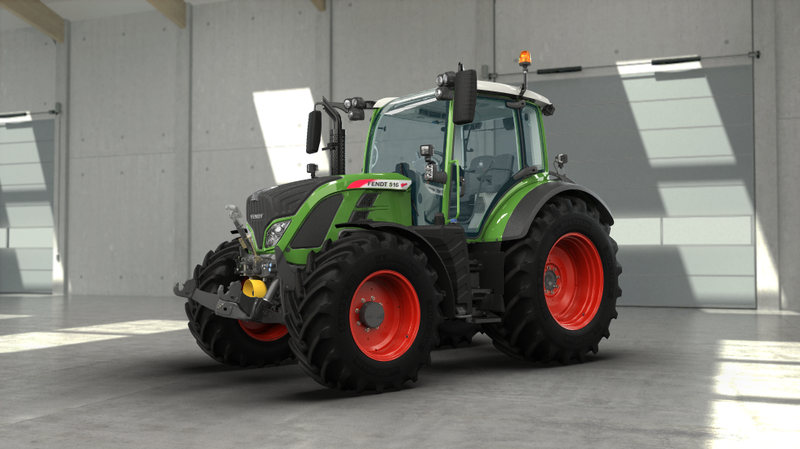 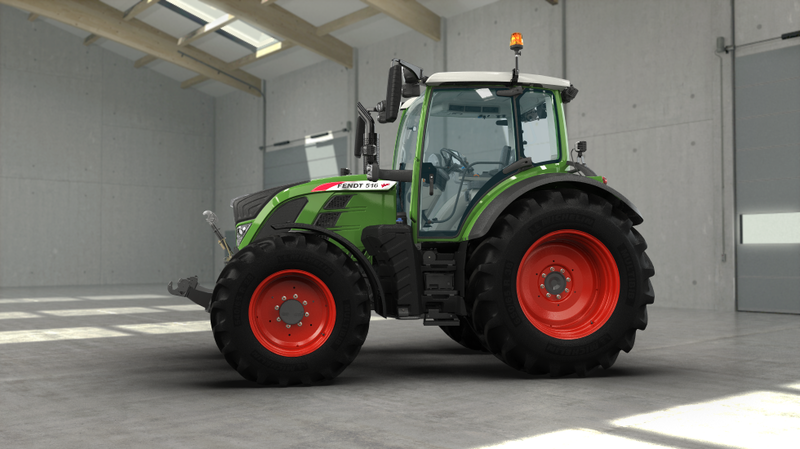 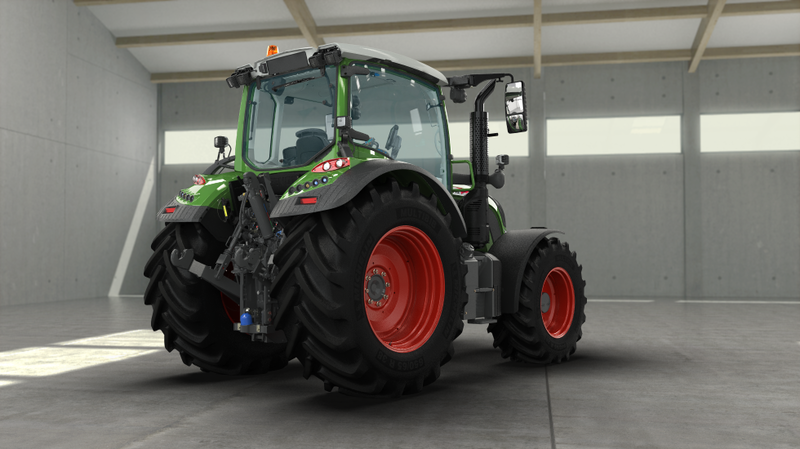 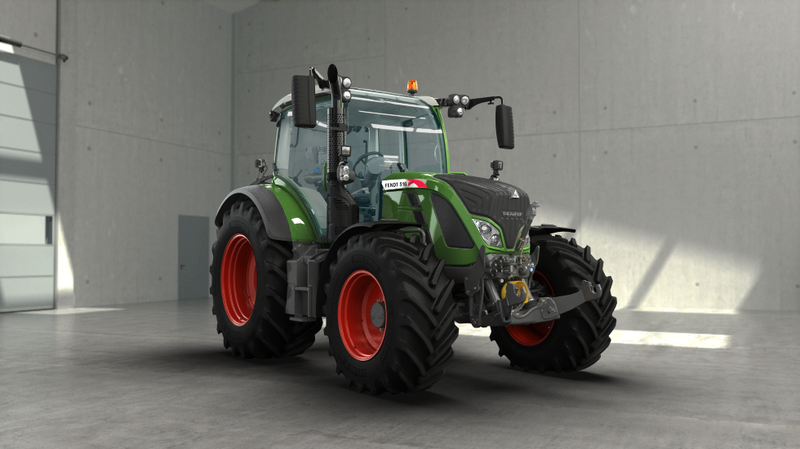 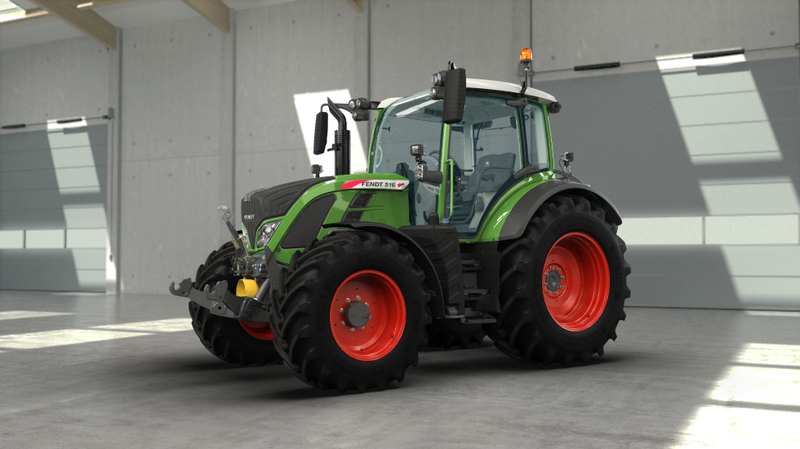 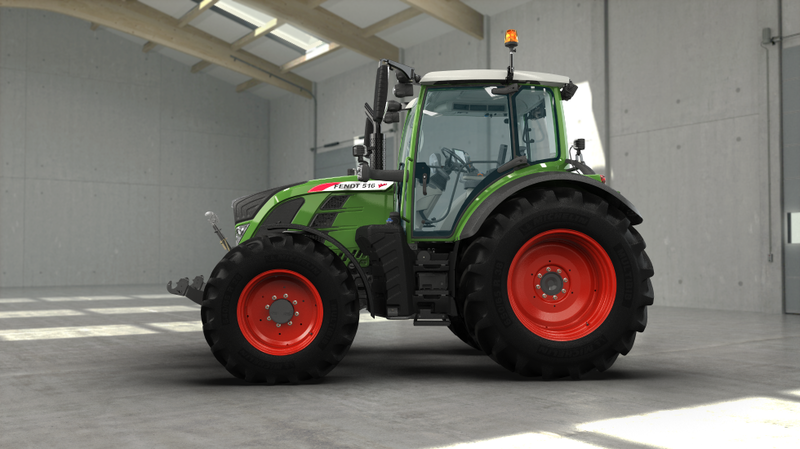 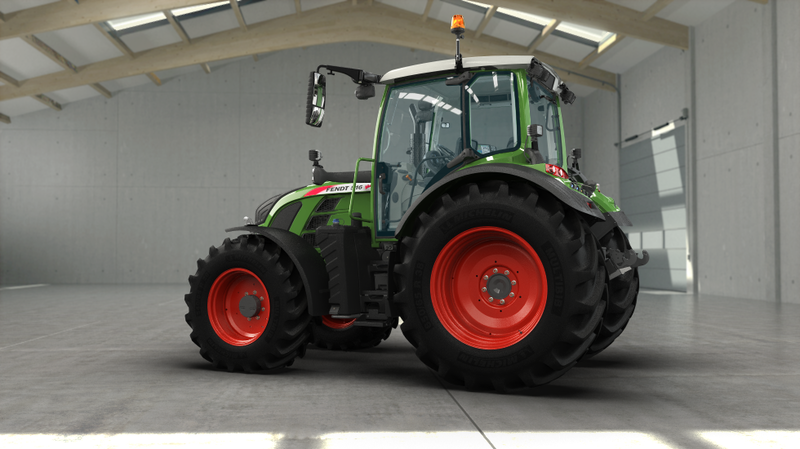 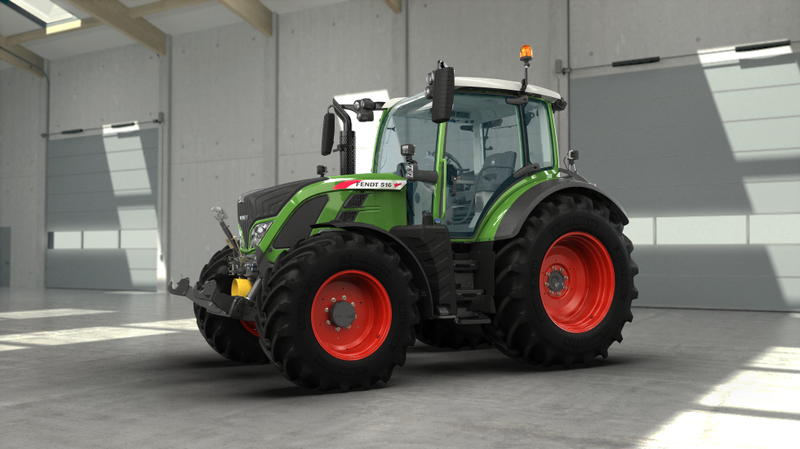 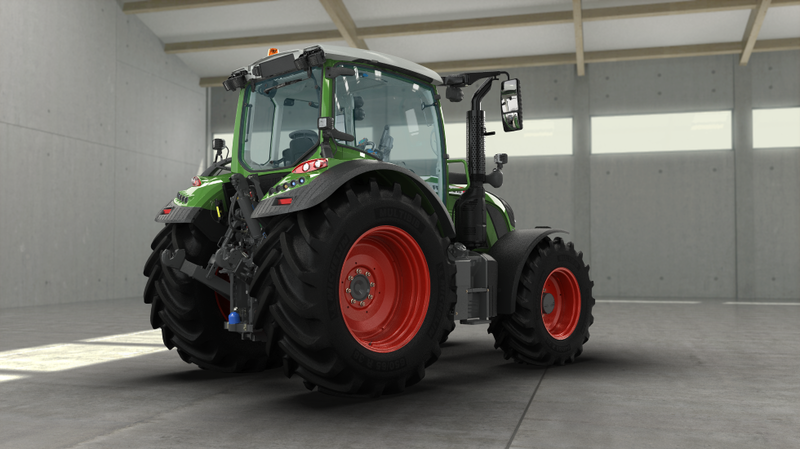 Prepare your farm for the future – with the Fendt 500 Vario, the tractor for all cases. 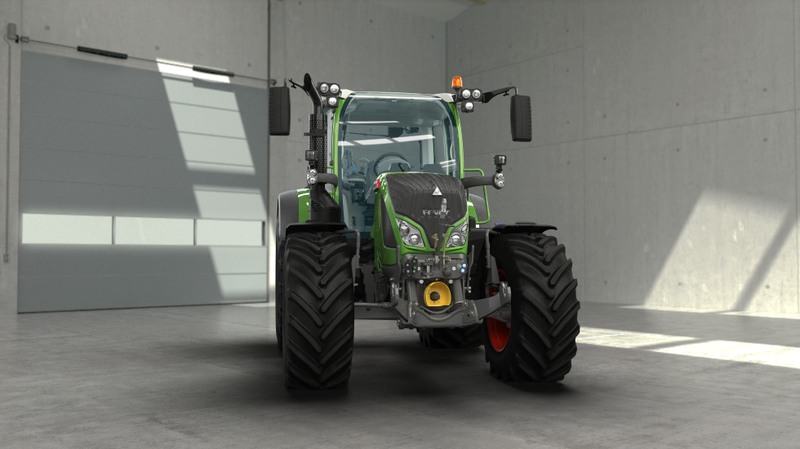 The front wiper with a 300° wiper field keeps the entire window free, even the view into the wheel arches! 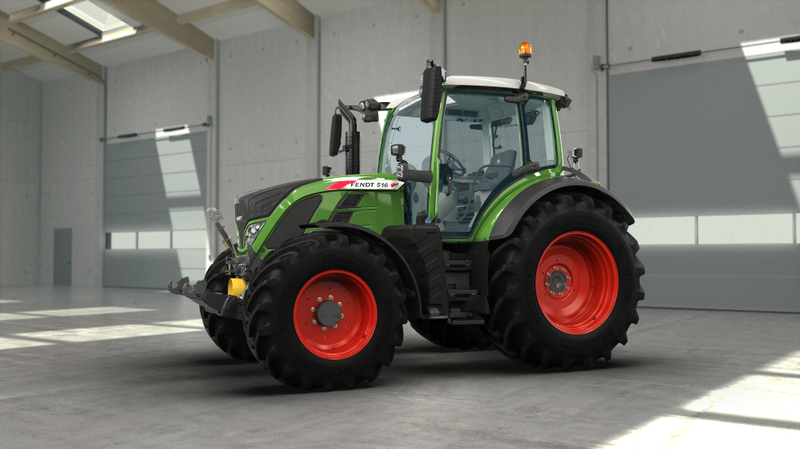 The Fendt 500 Vario, with a vehicle weight of only 6 tonnes, is a pleasure to drive with its manoeuvrability and low impact on the soil. 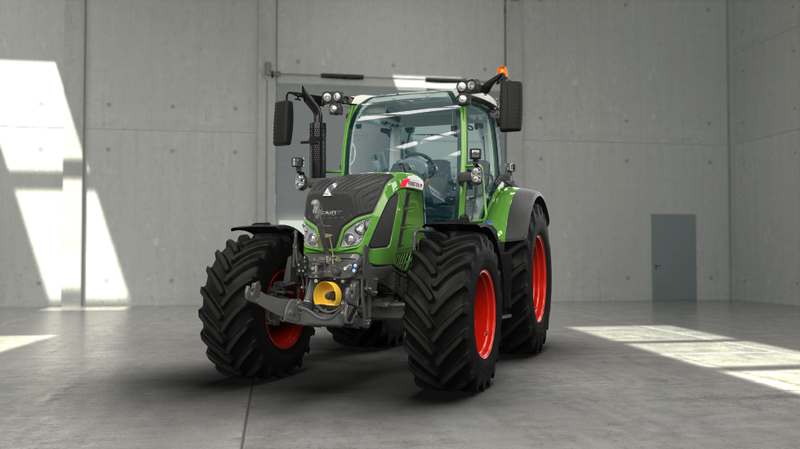 The robust compact tractor has a high payload of up to 4.4 tonnes. 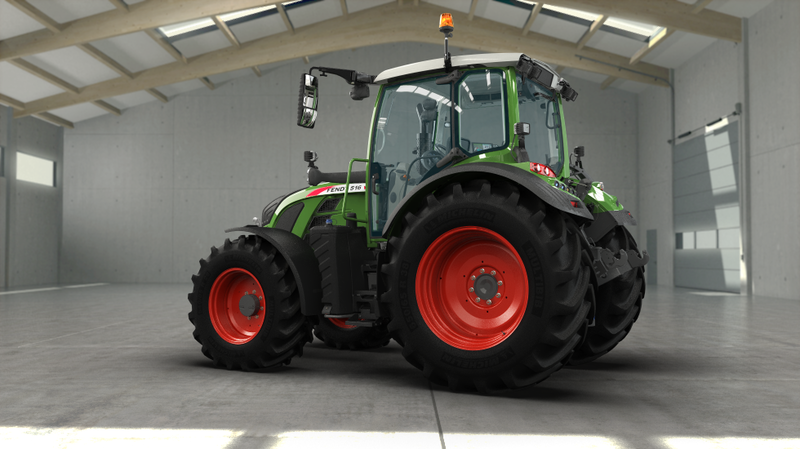 The Fendt 500 Vario naturally complies with the latest EU Stage 4 / Tier 4 Final emissions standards. 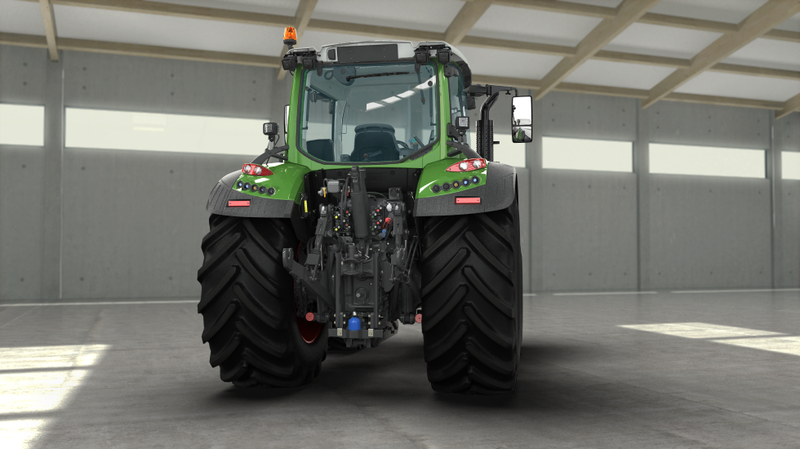 The SCR exhaust after-treatment in combination with the passive diesel particulate filter (CSF) makes it possible. 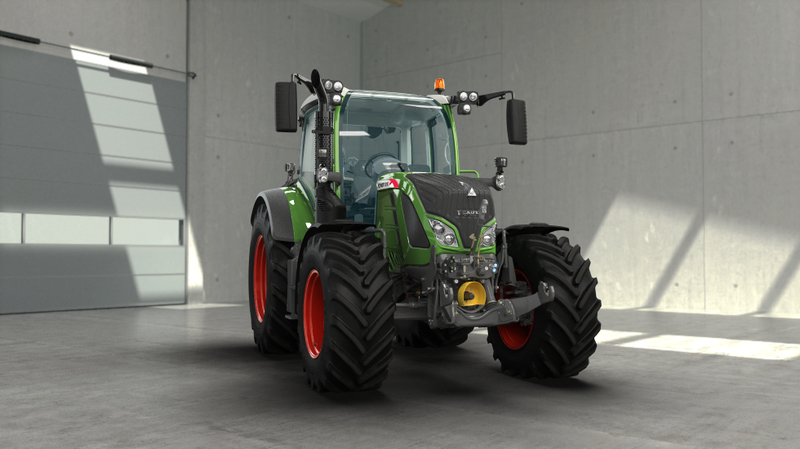 The tractor is operated with the Varioterminal, either with the touchscreen or the keys. 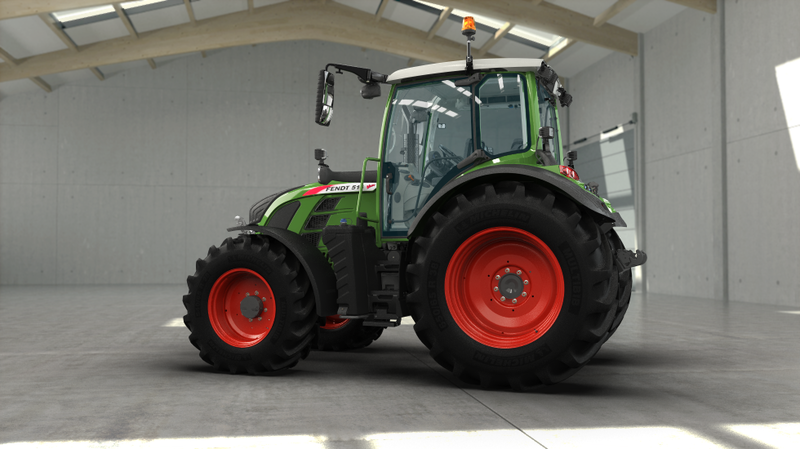 Two variants are available, the 7-B and the 10.4-B terminal. 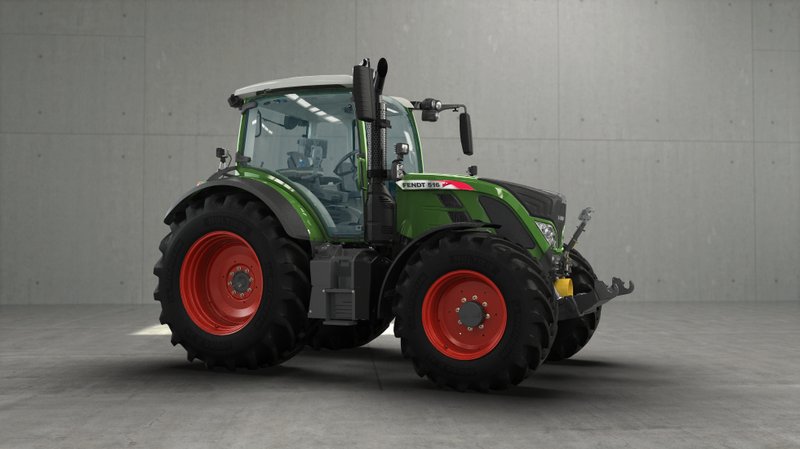 In the front, the Fendt 500 Vario is equipped with a PTO with 540 or 1000 rpm. 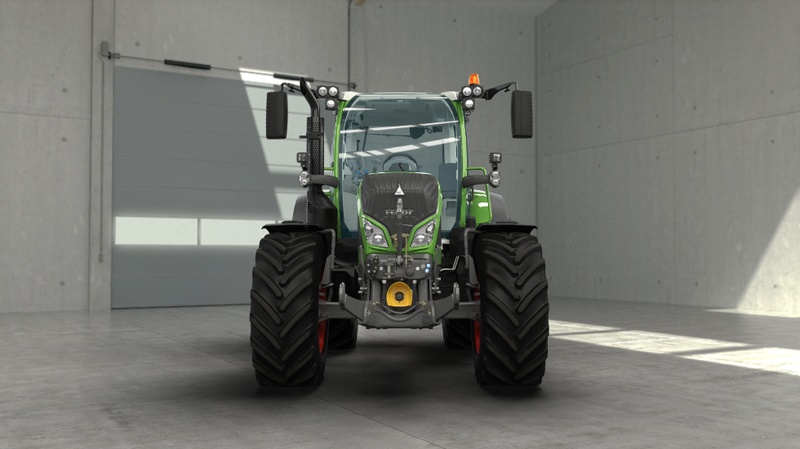 At the rear it delivers 540, 540E and 1000 rpm as standard. The optional economy PTO 1000E is new. 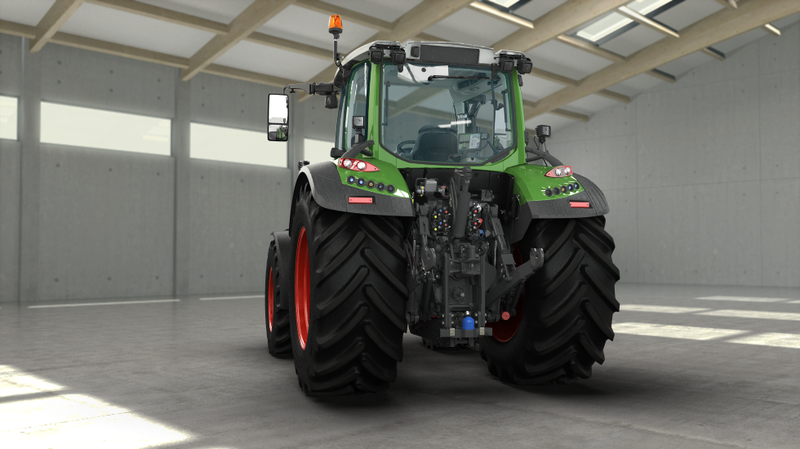 The LED lights ensure ideal visibility: there are 4 on the front of the roof, 4 on the back of the roof, 2 on the A-pillar and 2 on the mudguard. 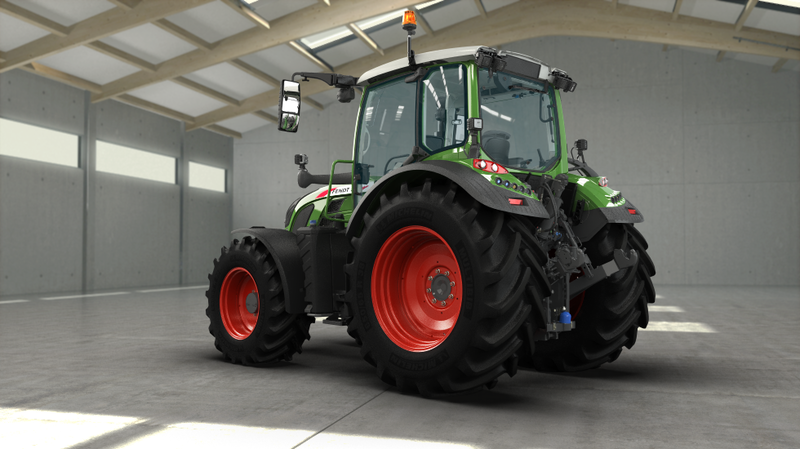 Together they deliver 35,000 lumen for energy-saving all-round illumination. 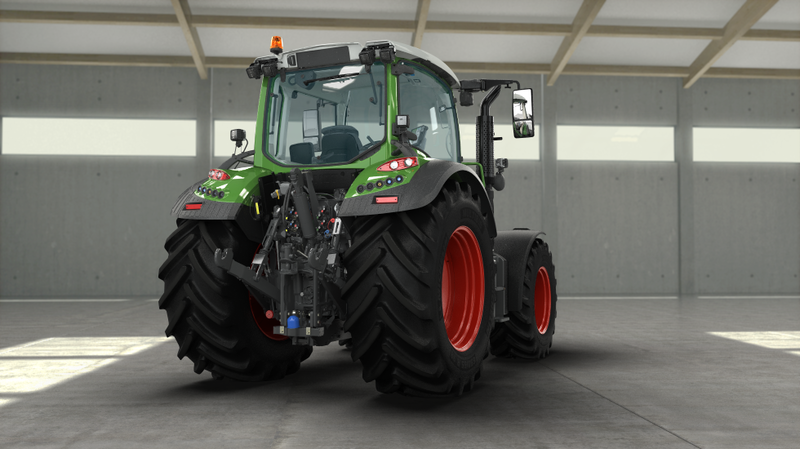 The new version of the VarioGuide guidance system is ready, and the new Fendt Variotronic systems for section control, application and documentation as well. 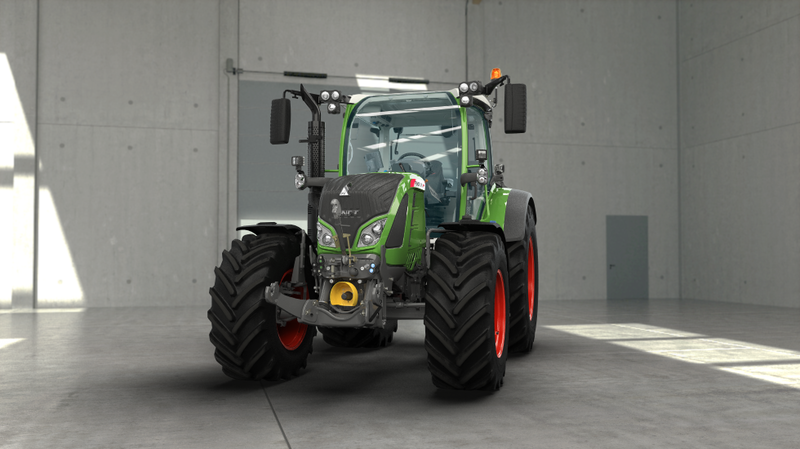 With a 77° viewing angle, the curved panoramic windscreen always provides the right perspective. 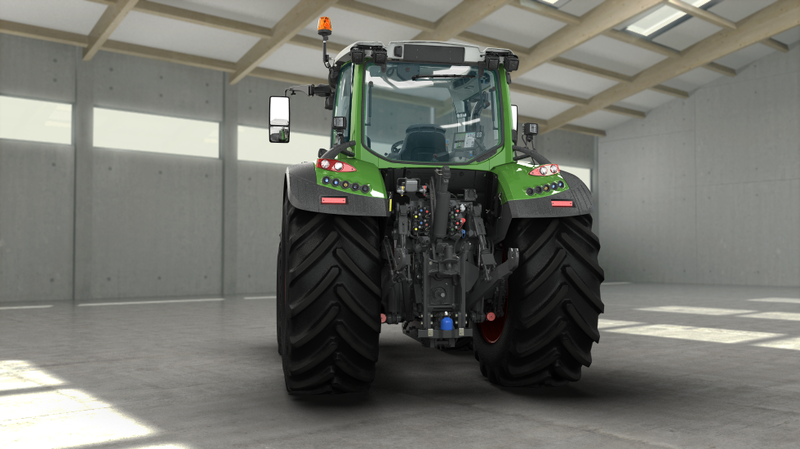 The roller shade protects against glare. 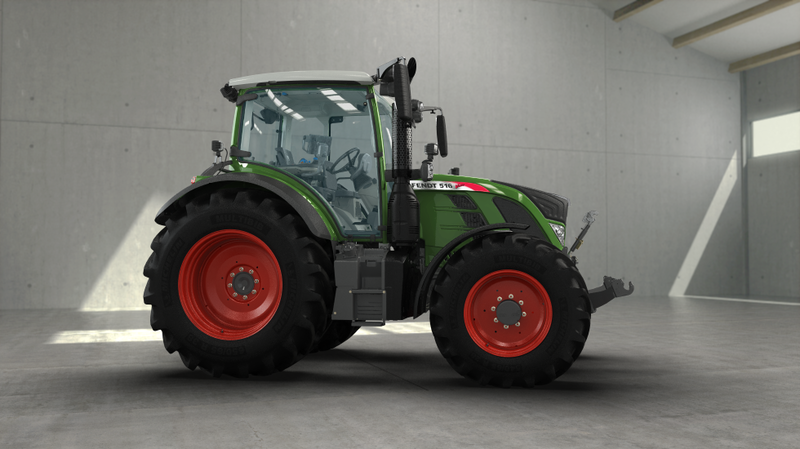 The combination of Fendt 500 Vario and Fendt Cargo front loader is ideal. 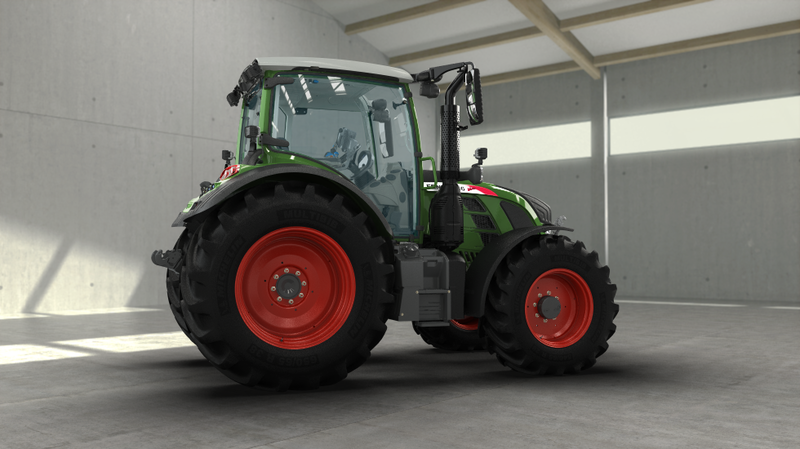 The Fendt Cargo Profi model, which also has a weighing, memo and shake function, as well as lift height limiting, is available to make loading more of a pleasure. The Fendt 500 Vario is made for loader work: The narrow bonnet enables agile driving and excellent visibility. The VisioPlus cab with curved front window expands the operator’s field of vision and provides a full view to the raised front loader. 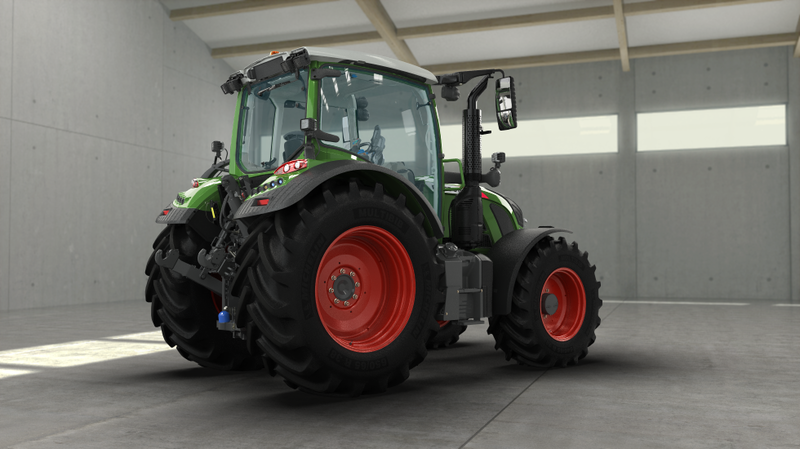 High hydraulic capacities at a low engine speed ensure fast lifting movements and precise loader response. 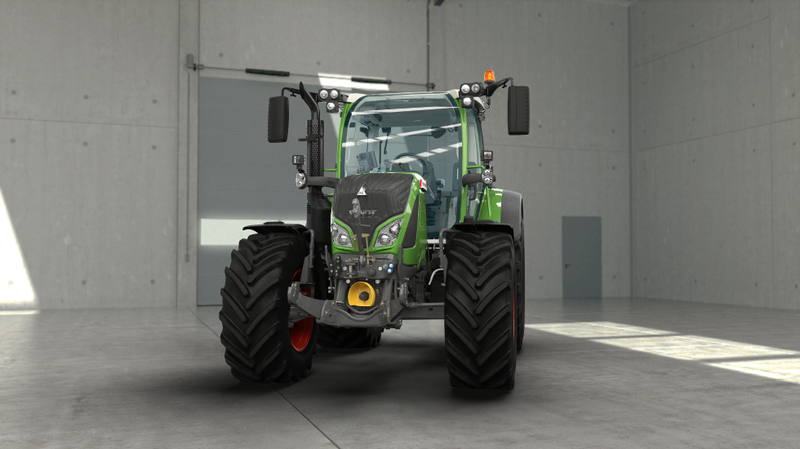 The controls are optimally integrated in the right armrest and the Varioterminal. 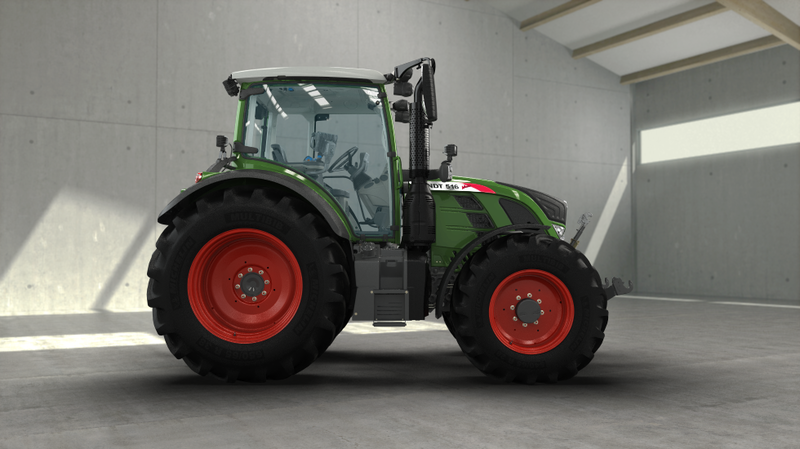 With the Fendt 500 Vario nothing escapes your view. 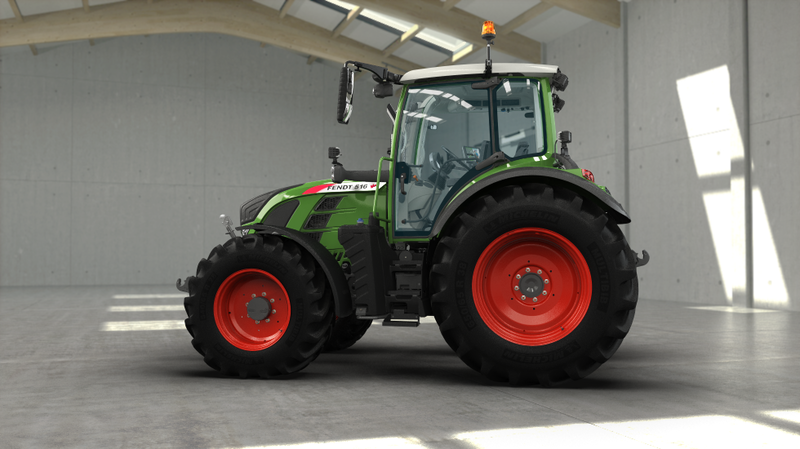 Its entire design is aimed at providing the best visibility. 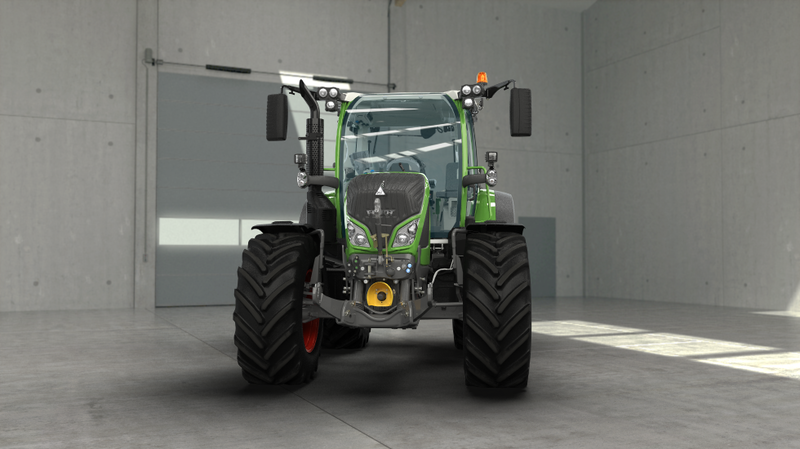 This includes the narrow bonnet as well as the excellent view to the front and rear implements. 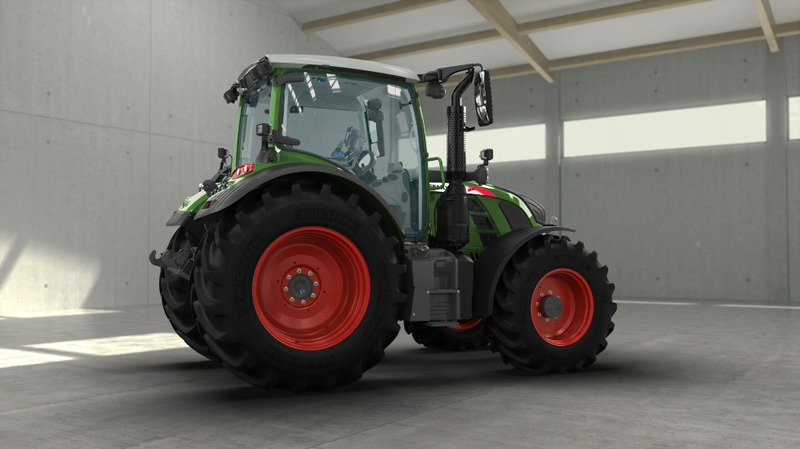 Its generous glazed areas, well laid-out interior and bright LED lighting always keeps you in the centre of action. 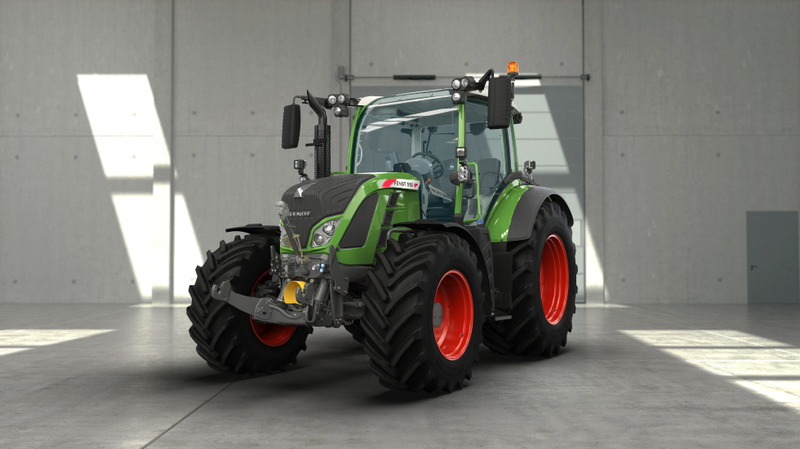 Everything that brings you ahead comes together in the Fendt 500 Vario: the engine and transmission technology of the big tractors, the compactness and flexibility of a small tractor. 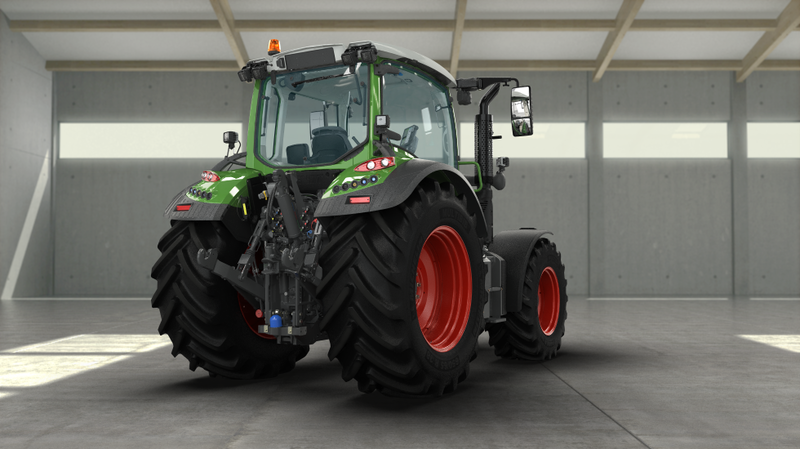 The coordination between the engine and the Vario transmission, which allows you to perform all of your work without gear steps and at the ideal speed, is still unbeatable Whether working with or without a trailer, doing transport or loading work, Fendt always offers the right technical finesse for the operation at hand. Ideal results have a name: Fendt Variotronic. 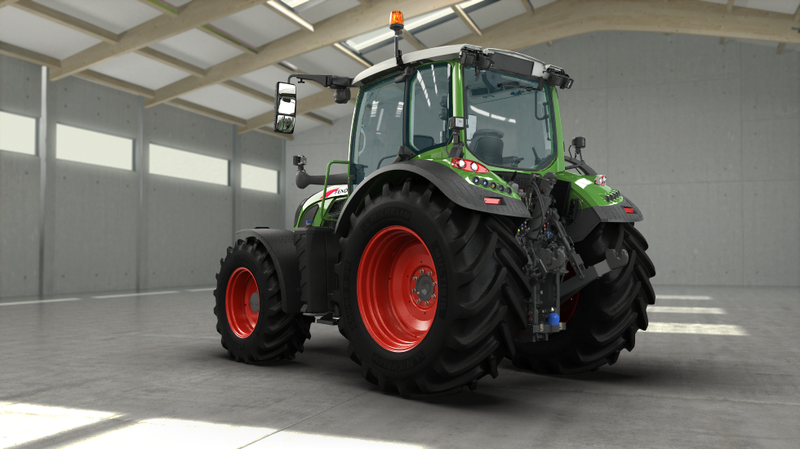 The hard-working Fendt 500 Vario is available with precisely the software that makes your work day easier. 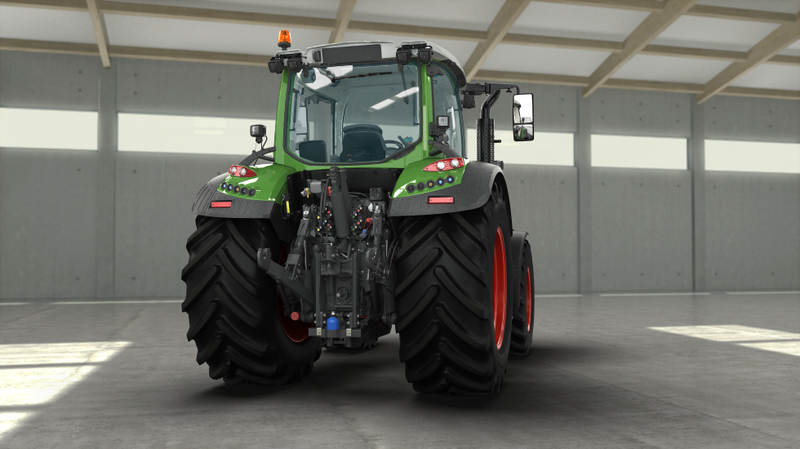 This includes the reliable VarioGuide guidance system, which boasts new functionalities and a free selection of correction services. 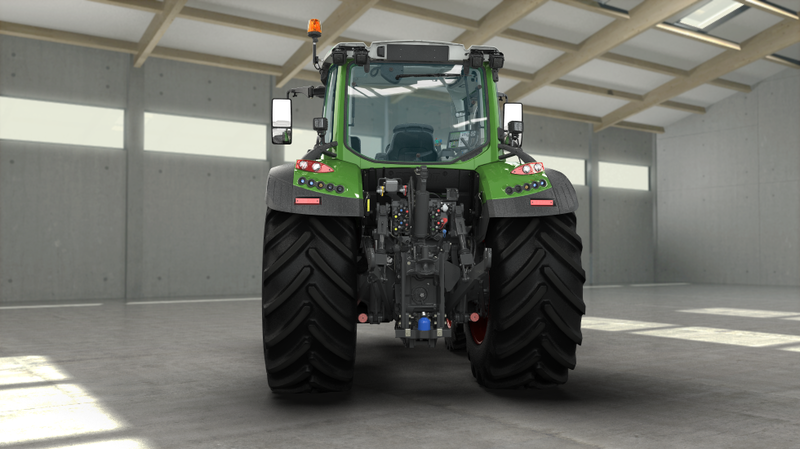 Further features are an even easier and wider section control, software for planning application rates and documentation via GPS position data. 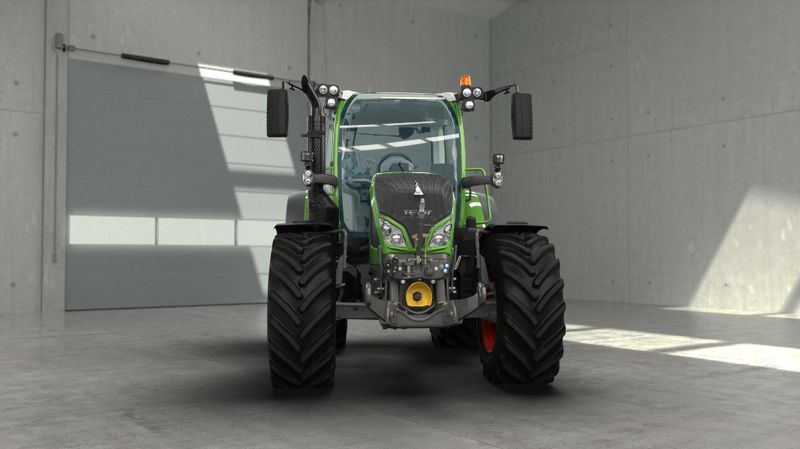 And everything is, as always, easy to control on the Varioterminal. 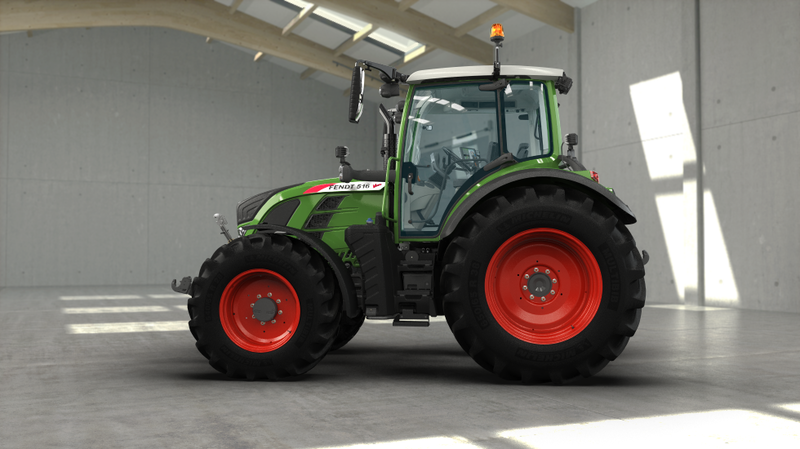 Leaders drive Fendt is not only a slogan, it is also a promise of quality. 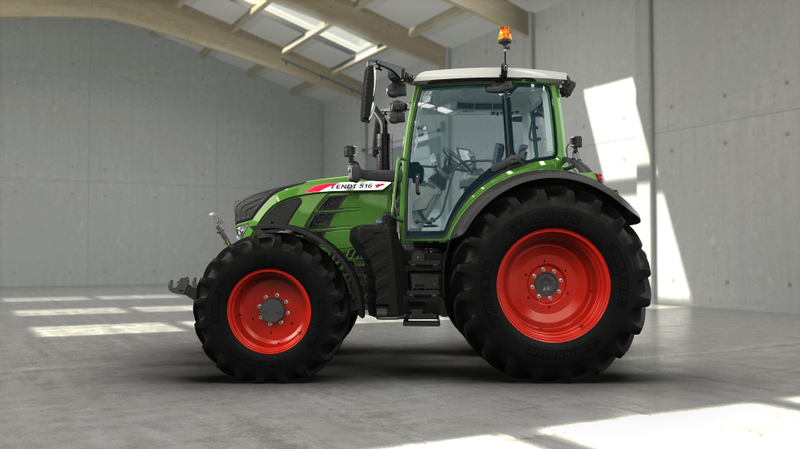 Because those who invest in a tractor, also invest in the future. 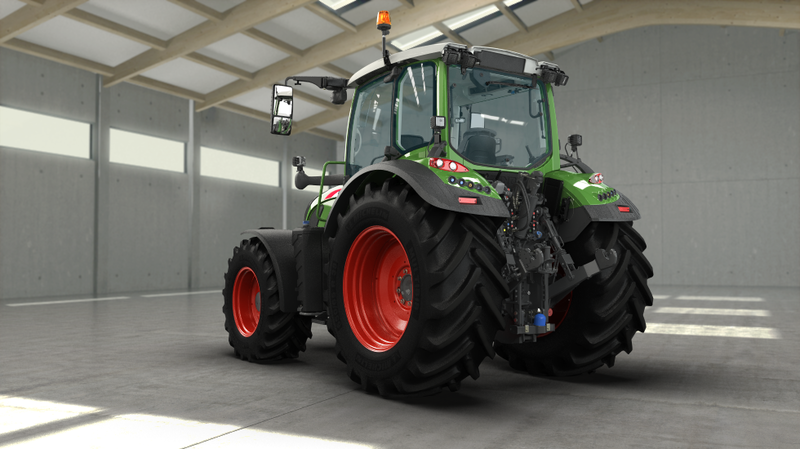 That is why we do our best every day to offer you ideal technology and reliable service, ranging from high replacement parts availability up to the warranty. For example, it is a matter of fact for us to provide regular software updates to keep your tractor at the latest level. This symbol stands for solutions that offer special benefits for your daily work and take a Fendt a Fendt.